When I start getting close to deadlines, I’m always looking for good food that’s easy to fix–or can be made ahead. These yummy Mini Mealoaves checks off both boxes. 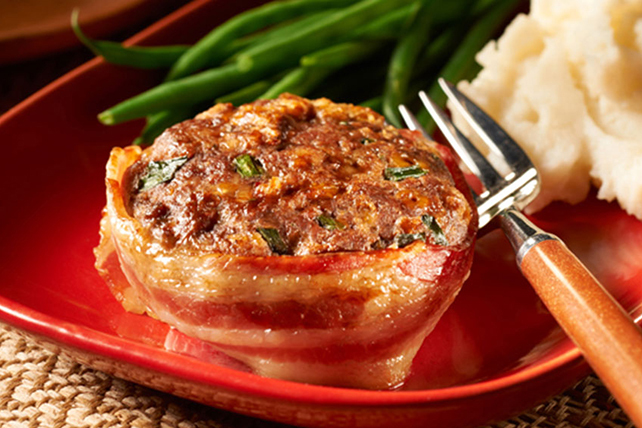 Keep these bacon-wrapped make-ahead mini meatloaves in the freezer for a fast, home-cooked solution to mealtime emergencies. Heat oven to 375ºF. Unwrap frozen patties; place on rimmed baking sheet sprayed with cooking spray. Bake 40 to 45 min. or until done (160ºF). For a video and/or more information, CLICK HERE.